Ehinger is the founder of Ehinger Kraftrad, an internationally renowned manufacturer of custom-made motorbikes, and a passionate vintage motorcycle part collector. 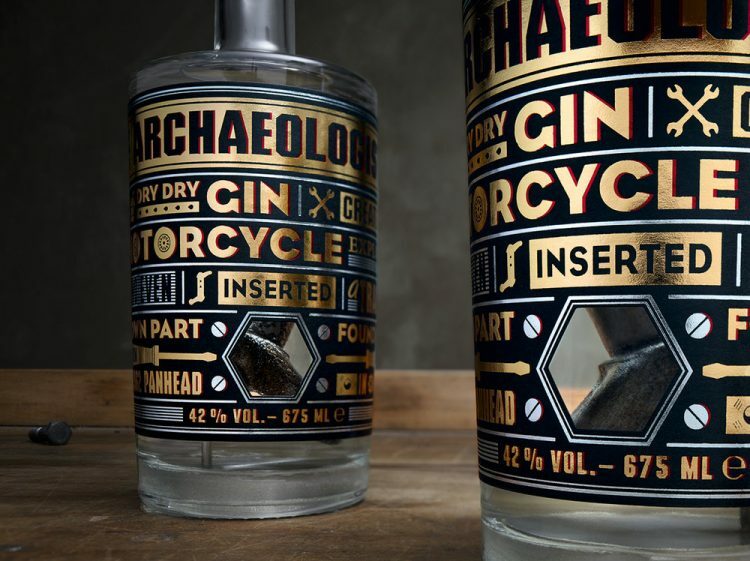 His decades-old habit of traveling to the most remote parts of the world in search of vintage bikes has earned him the nickname “The Archaeologist” which he now uses for his expensive gin. 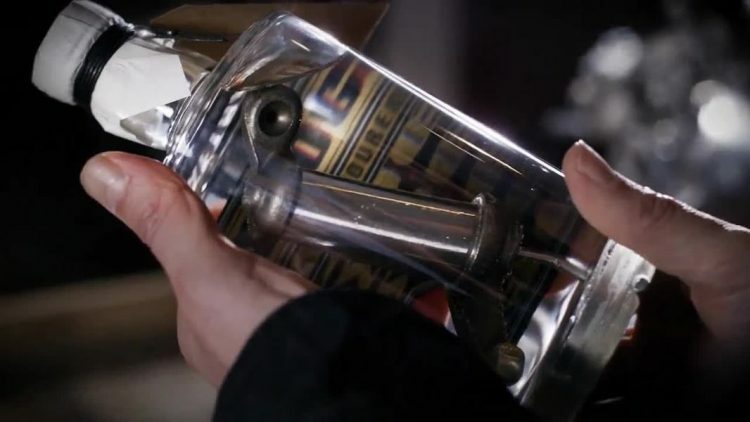 Every part used in The Archaeologist bottles comes from Uwe’s personal collection, including rare items like 1939 Flathead camshafts from the Mexican desert, 1947 Knucklehead screw-nuts from Chile, or 1962 Panhead rocker arms from South Korea. 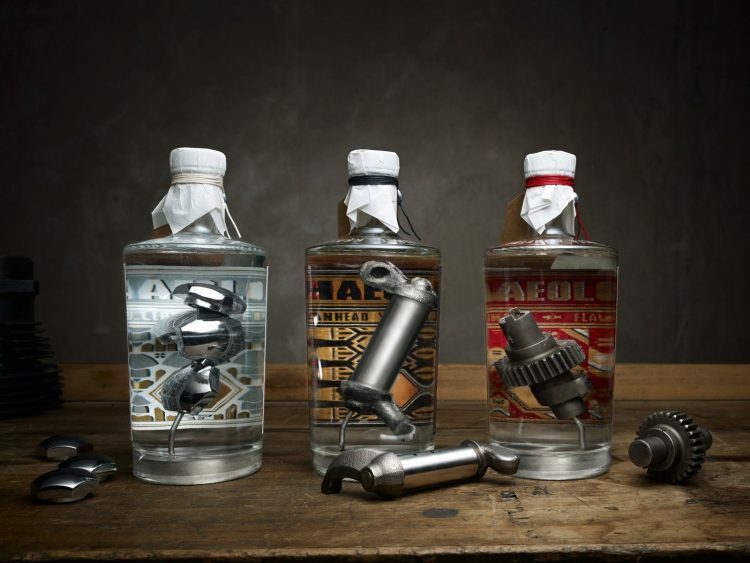 If you’re excited about the idea, and wouldn’t mind paying $1,000 for a bottle of the world’s first Harley-Davidson-infused gin, I’m afraid you’ll have to get in line and wait. The first run is reserved for Uwe Ehinger’s most loyal customers, and only served in his Hamburg garage. The few bottles sold through his website have already sold out, so you;ll just have to wait and pray that he’s still willing to use more of his collection of parts.